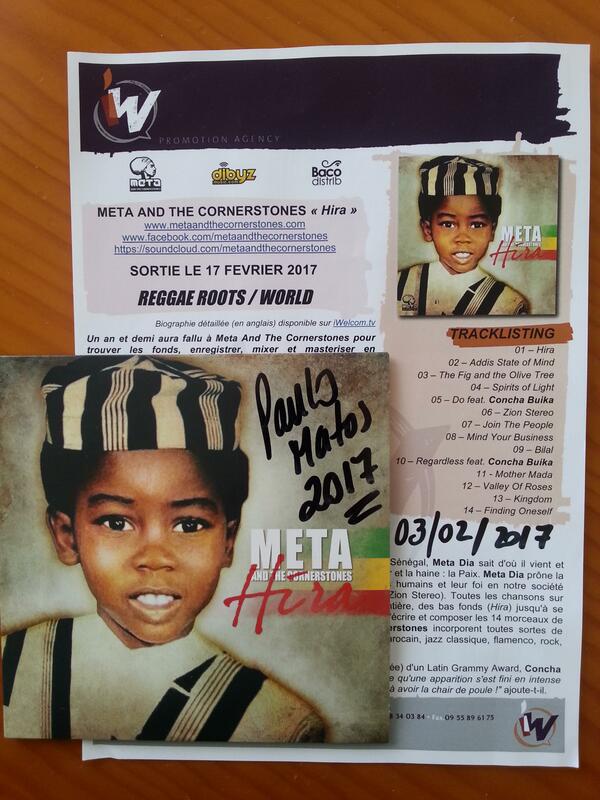 A year and a half took Meta And The Cornerstones to find the funds, recording, mixing and mastering in England, the Netherlands, Jamaica, Paris and New York.This third album (and the most awaited) "Hira" is ready and will be released on February 17, 2017 on Metarize LLC, distributed by Dibyz Music and Believe Digital. Recorded at Real World Studio of Peter Gabriel and mixed by Shane Brown (Jukeboxxx) and Bonzai Caruso.
" Hira bears witness to the philosophy and indivisible love dear to Meta Dia, including the love of oneself as a prerequisite to all forms of love. " (Werner Zips, University of Vienna). "This is what reggae music needs," said Shane Brown. 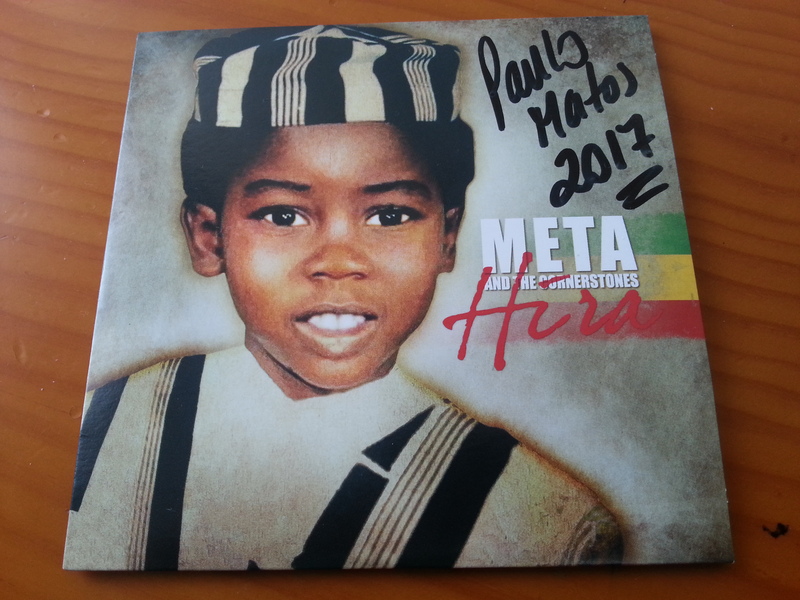 "This is real authentic reggae music... Hira is one of those albums that will remain . " A mix of various world music on a roots reggae basis. The project is carried by the texts of Meta Dia , borrowed from a deep spirituality, "Hira" tries to repel all forms of borders and celebrates the differences, peoples, cultures and religion. "Hira" advocates a spiritual union, religious tolerance and self-respect. Born and raised in the Sufi Islamic traditions in a village in Senegal, Meta Dia knows where he comes from and strives to spread what divides the most at this moment, stirring fear and hatred: Peace. Meta Dia advocates Peace, pointing in particular to the deterioration of human relationships and their faith in our present society: "Salam is our doctrine, our cornerstone" ( Zion Stereo ). All the songs on "Hira" are connected together. The album unfolds a whole story, from the bottom ( Hira ) to finding oneself ( Finding Oneself ). 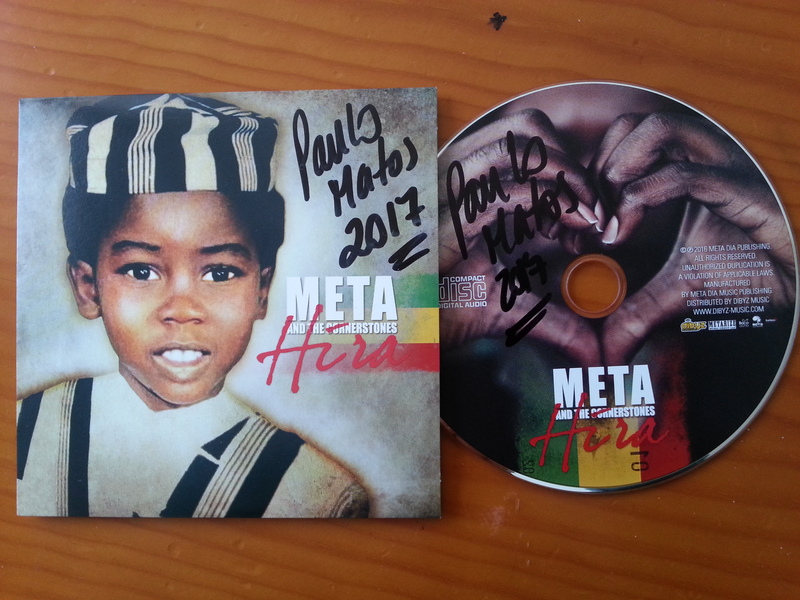 Meta Dia did not just write and compose the 14 tracks of the album, it produces the entire disc. Meta Dia and The Cornerstones incorporate all sorts of musical flavors: bossa nova, Middle Eastern sounds, Moroccan Gnaoua, classical jazz, flamenco, rock, African rhythms, all docked to a solid Roots Reggae. Proclaimed best female vocalist, decorated (and four-time nominee) a Latin Grammy Award, Concha Buika appears on two tracks on the album. "What was supposed to be just an apparition ended up in intense collaboration," says Meta Dia . "A big surprise, get ready to have goose bumps! "He adds.